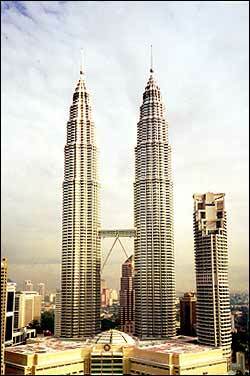 The Petronas towers (Kuala Lumpur - Malaysia) were built by Cesar Pelli & Associates, reflect a melding of East and West. At 1483 feet (452m) high, the tallest building in the world at the date of its completion, measured to the highest point. The towers have 32,000 windows.